Am I the only one that has trouble getting my kids out the door on time once the school year start ups again? Every year my kids somehow wind up at a camp that offers lunch included and even they aren&apos;t happy with the selection (and they never are) I can let them go without food while I remain without guilt. When the school year returns I have to remember how to get back into the routine of packing lunches. Usually they have to be meat free, nut free, seed free (aka no hummus) and taste good cold or at room temperature. My kids don&apos;t dig the thermos. 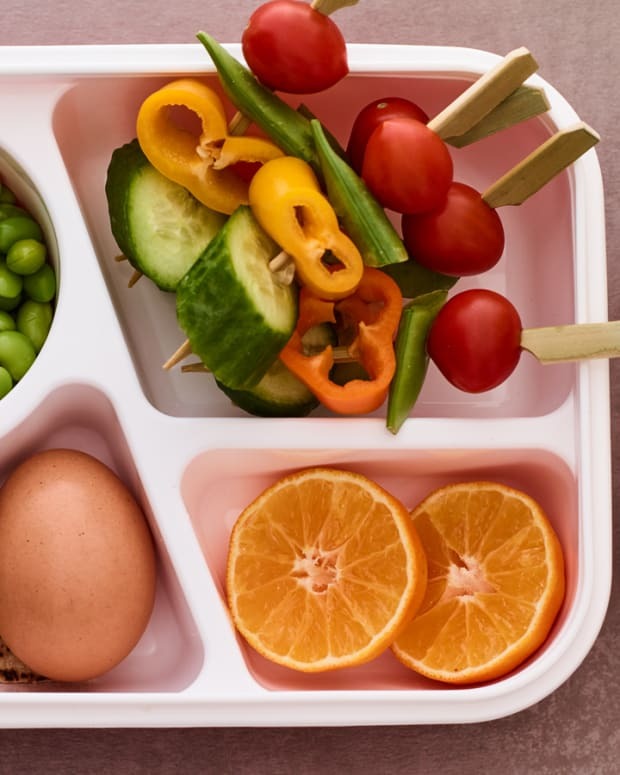 To help you and myself get ready for the new school year here are 15 back to school lunch ideas that you can either prep the night before or pull together quickly in the mornings. 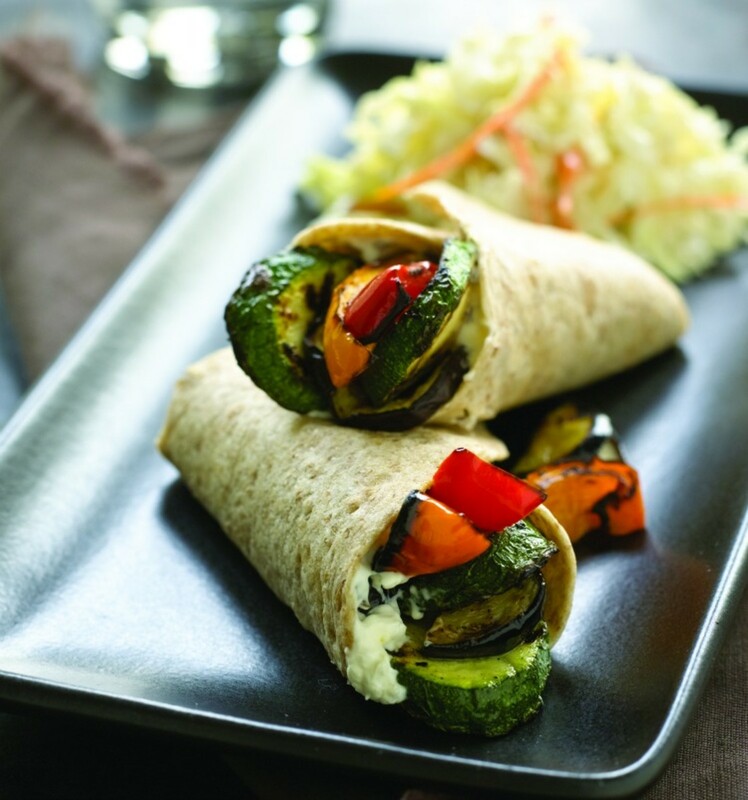 Some kids won&apos;t go for all these fancy grilled veggies and flavored herbed cream cheese, but this recipe can be changed up to suit even the pickiest eaters. 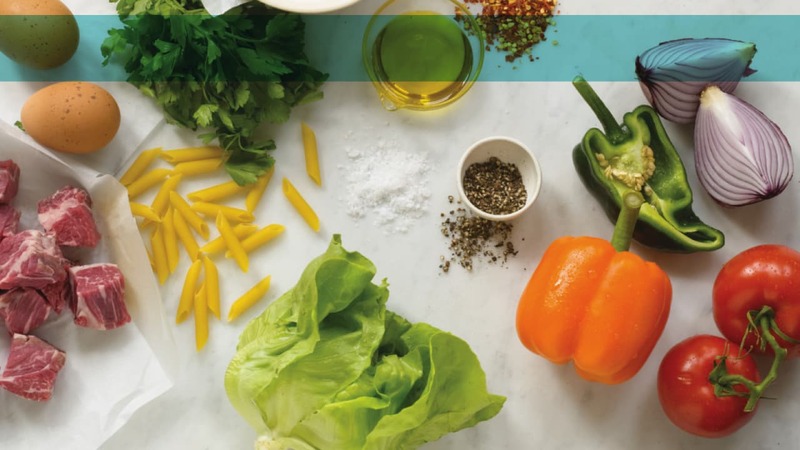 Use your favorite cheese, spreadable or hard; the veggies you have on hand, grilled or raw; and/or smoked salmon, scrambled or hard boiled egg, avocado, etc. and you got lunch. For more wrap ideas click here. 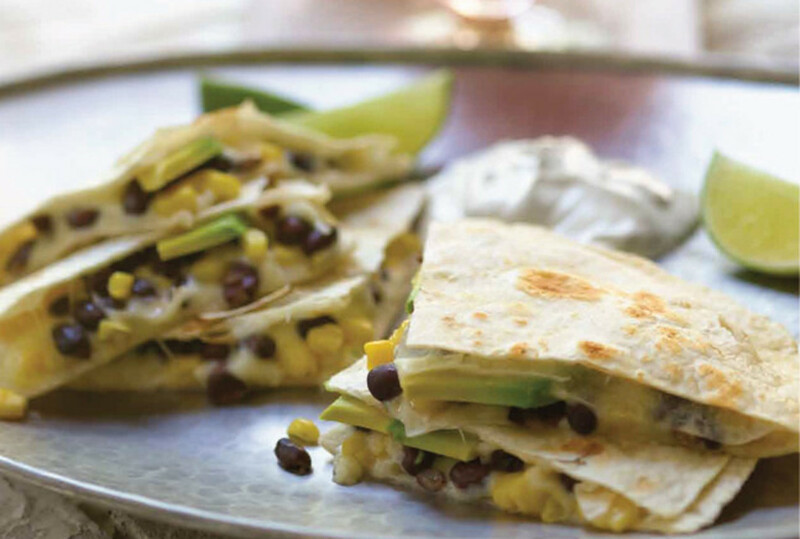 Instead of wrapping your wraps, fill them and grill them, they sit well and are also versatile. Try plain cheese, add any fruit or veg, I like spinach and pan fry. The sandwich is an old standby for a reason. Easy, versatile and most people love them. 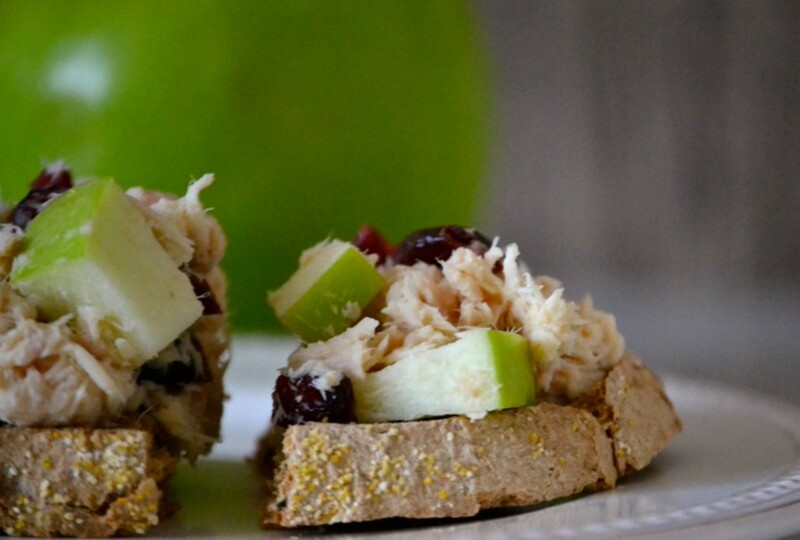 Whether you go with tuna, egg salad or cheese or step it up by adding fruits and veggies you can&apos;t go wrong. Anything with pizza in the name is sure to be a crowd pleaser. 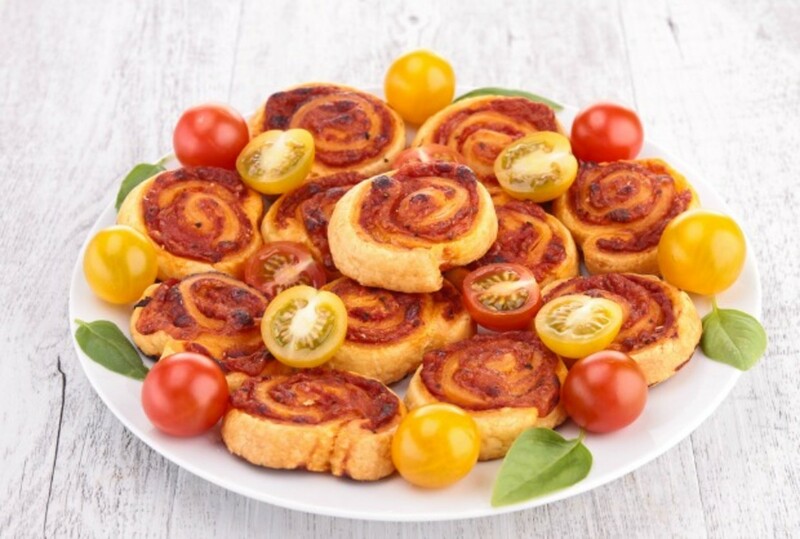 Easy to make and pack up, these pizza pinwheels are a snap. Feel free to add some cooked broccoli to the roll. 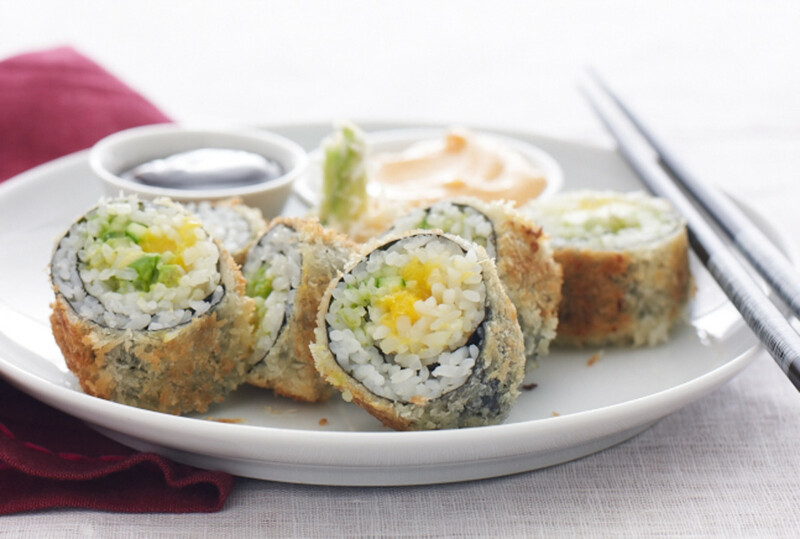 Sushi has become so popular among people of all ages. 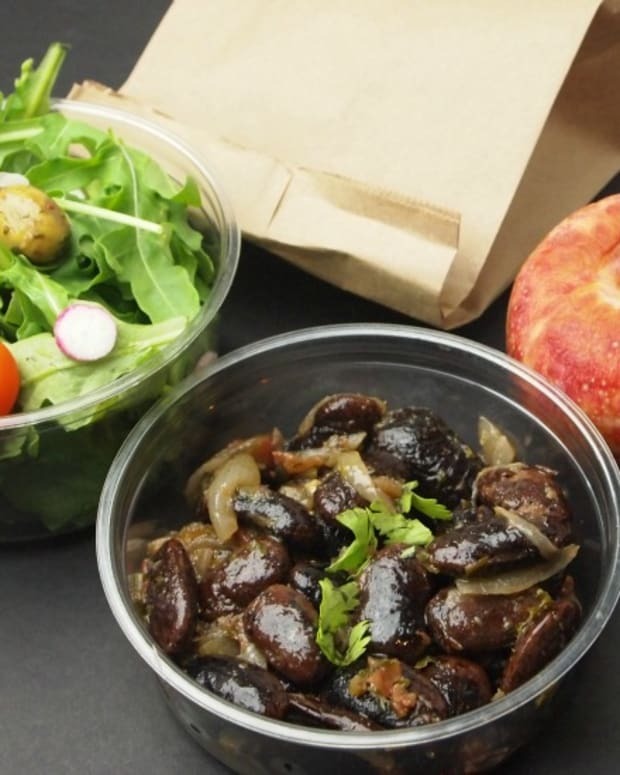 For the lunch box use avocado and cucumber or even smoked salmon and fake crab will work well. 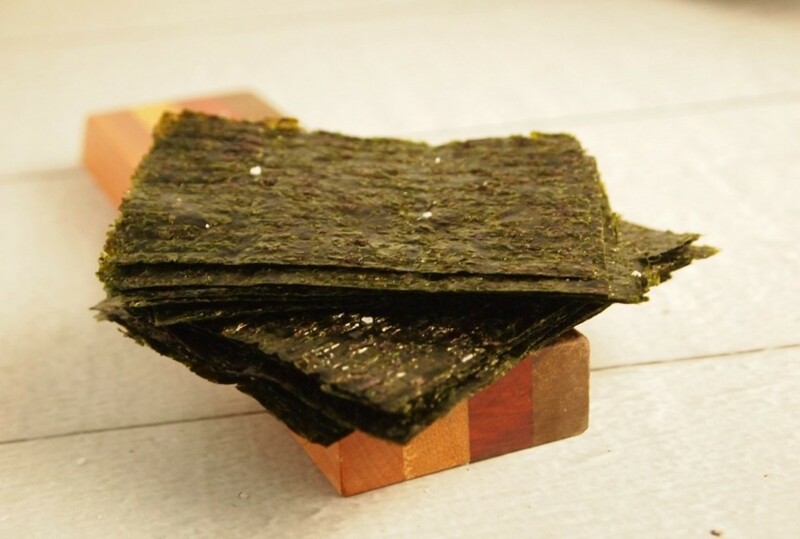 To pack up sushi in style get a Kids Bento Box, read about them here. Some kids, like my middle son, won&apos;t eat any traditional food, he will only eat snacks. 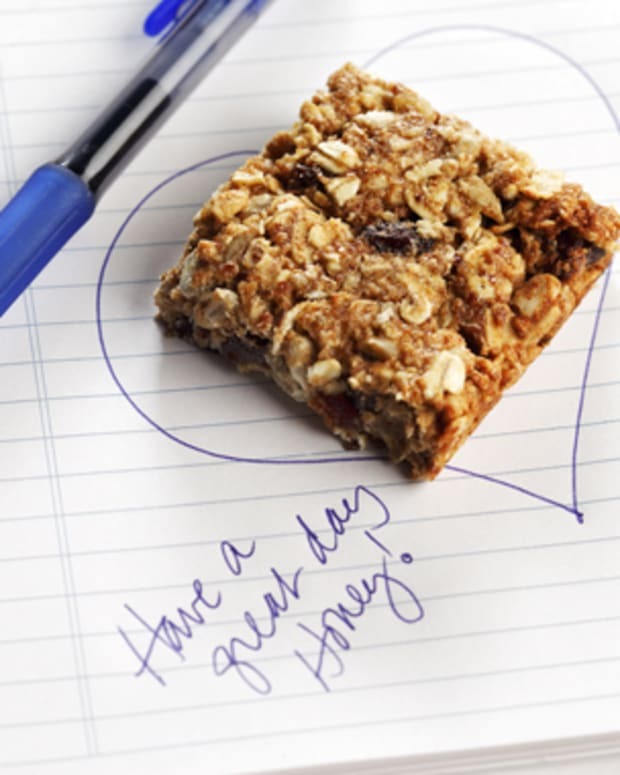 When I want to make my life easy I just send a granola bar and some salty snacks with as much nutrition in them as I can get. 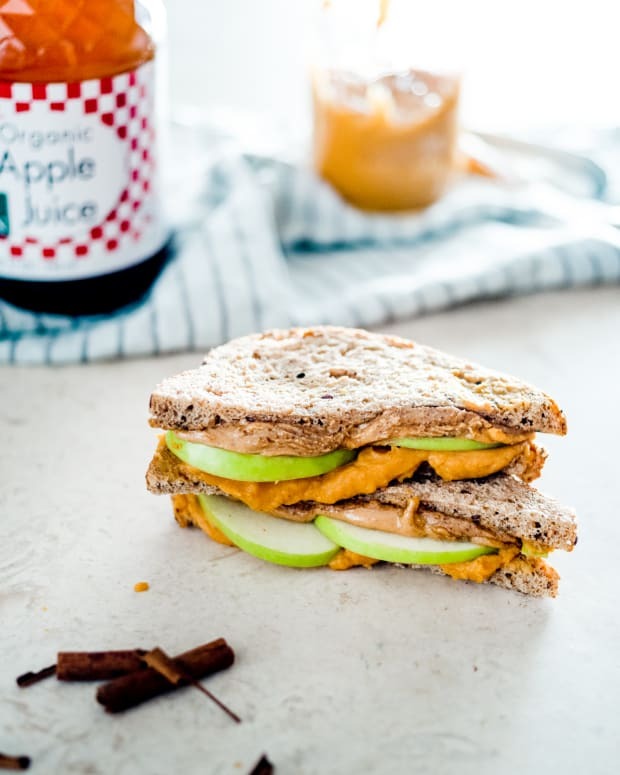 Here are some favorites that also work perfectly for snack time or on the side of the sandwich. Cause my son won&apos;t eat a muffin if there is no chocolate. 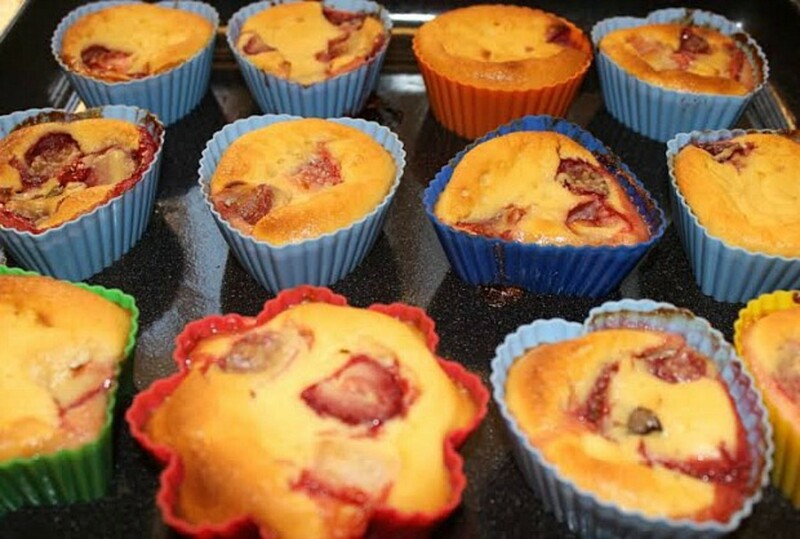 For more Muffin Recipes, both sweet and savory click here . 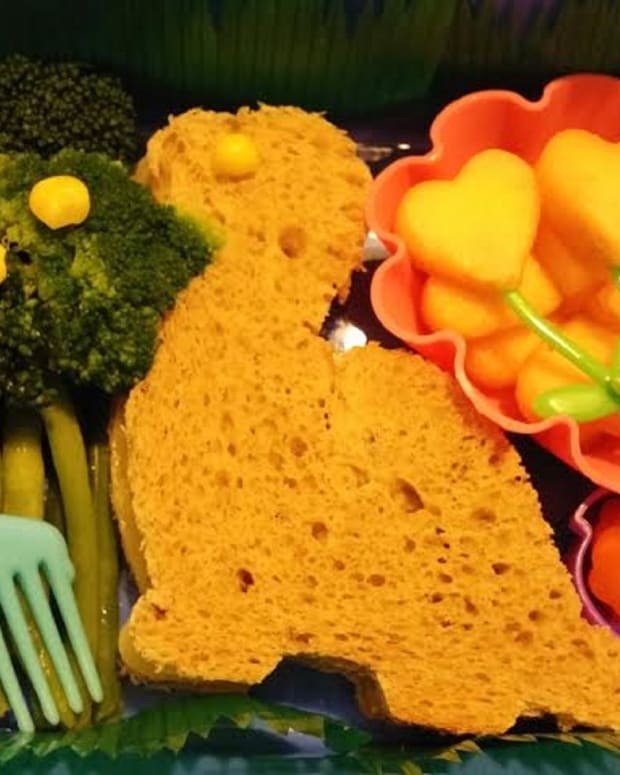 To be honest I have not found my go to recipe, the one I liked best my kids did not and I prefer to include nuts but their school did not allow it. These are very good bars and I find they stay best in the freezer. 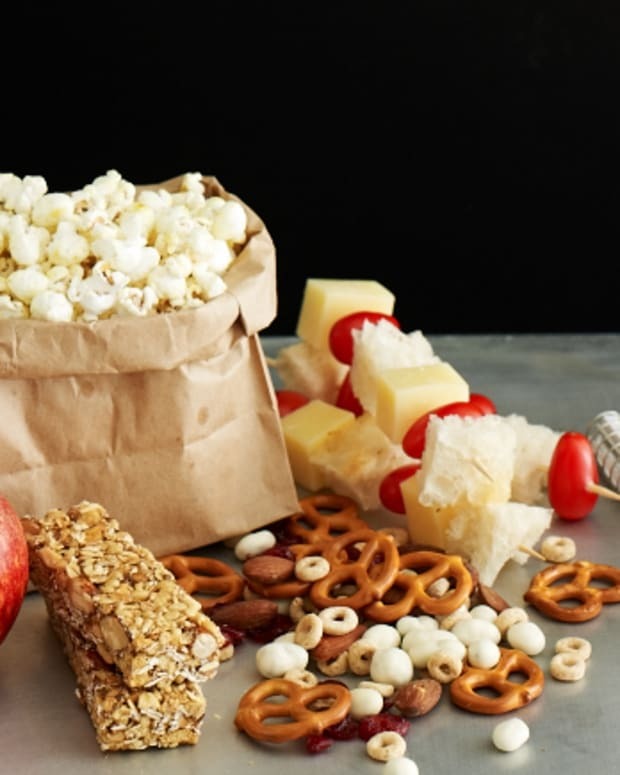 These salty snacks are so healthy and became all the rage in my sons class. I make my own partially so that they are kosher and partially cause my son likes spicy, so I sprinkled chili powder and he loved them. 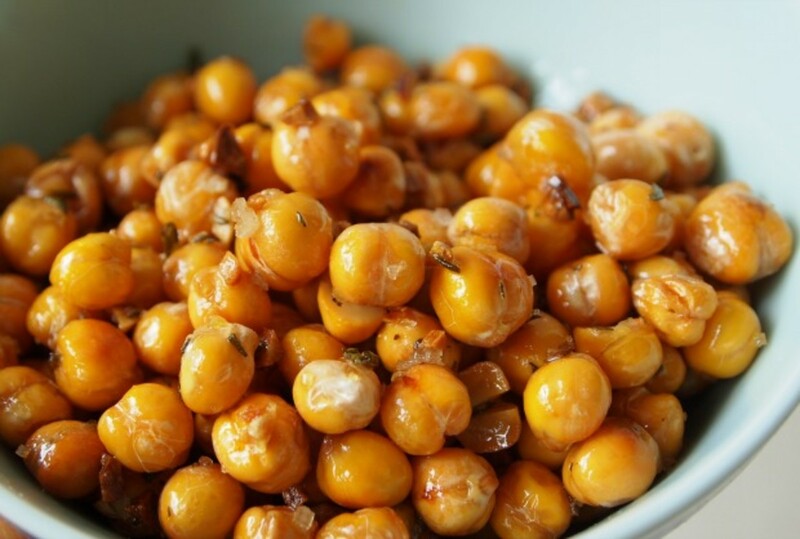 These are best made with soaked raw chickpeas, they have tons of fiber and you can flavor them as you like. 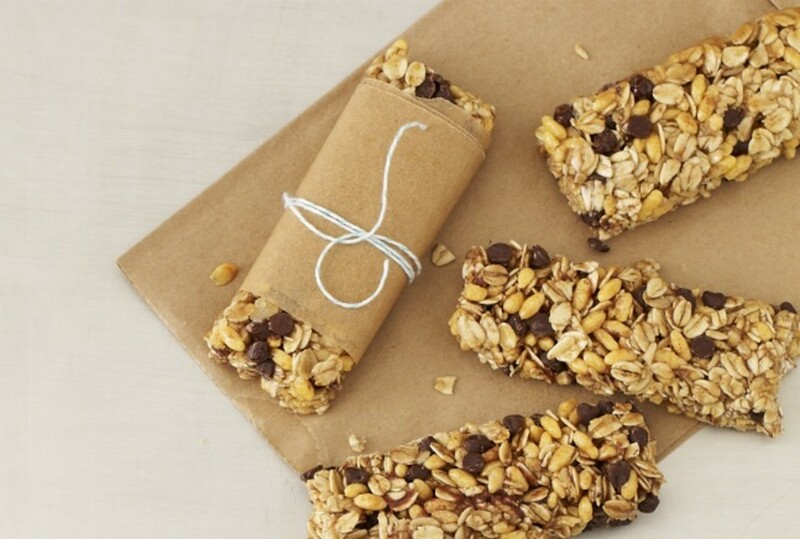 The perfect high protein snack that will get your kids through the day and nut free!! 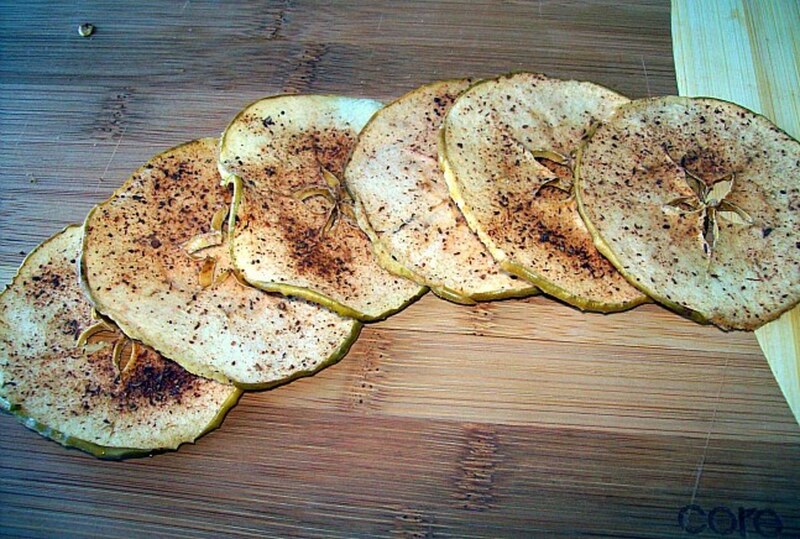 Make your own crispy apple chips, not only a great way to use the apples from your apple picking trip, but a great snack for the lunch box. 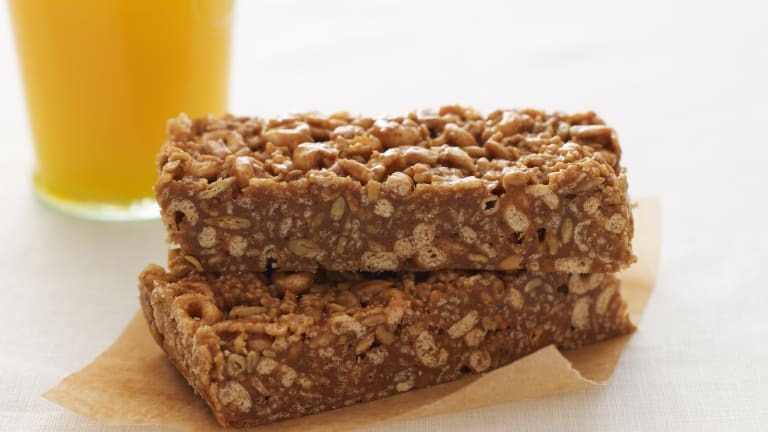 Main image is Sweet Peanut Butter Cereal Bars - would work with soy nut butter too.